Around geopolitical events, political posturing is generally the short-term focus for all parties involved, and markets, but the longer-term implications are often unrelated to what is obvious in the short-term. The despotic approach of Vladimir Putin, and his “damn the torpedoes” approach to dealing with market/economic consequences exacerbates this effect. A fascinating take on the longer-term consequences of Putin’s bravado is detailed in the Journal of Foreign Affairs. Recent actions are presented as a negative for Russia and a positive for the Ukraine. While this will take several years to validate/invalidate, the article is provocative and provides at least a partial justification for financial markets (outside Russia/Ukraine) to come to terms with the annexation issue, and largely ignore it. Perhaps Ukraine/Russia geopolitical issues become 2014’s version of last year’s Cypriot financial crisis (that was supposed to cause deposit flight throughout Europe). The new normal for global GDP growth is lower, in a world in which sovereign credit constraints weigh on global growth. Specifically, through the 1990-2000 decades, emerging markets grew faster than sustainable (in the longer-term) because of the initial surge related to first-time access to global capital markets. EM was provided the opportunity to run fiscal deficits, current account deficits, or both! Nations borrowed heavily, effectively leveraging economic growth to good times and/or the ability to take on more debt. Improved access to credit can do wonders to a growth rate in the short-term. Japan – the most indebted significant developed market economy, exceeding 225% debt/GDP (this can’t keep going higher). European austerity imposes a hard speed limit on European stimulus. Credit markets are more sanguine relative to two-years ago, and lower sovereign borrowing costs helps, but a feasible plan for Europe will be to at best maintain current debt levels. A process of levering back up is simply not possible in light of the downside consequences (Iceland, Ireland, Portugal, Spain, Italy, Greece, Cyprus, Ukraine, etc.). China credit growth has been masked, for many years, but is enormous when factoring in loans throughout the SOE (state owned enterprise) system; these institutions are effectively an appendage of the government. Russia’s nationalistic fervor and aggressive moves to quickly, and decisively, annex Crimea enhances popularity within Russia today but will have profound longer-term negative implications for Russia’s economy, business sector and markets. Policy actions, and the consequences with western relations will effectively flow financial/intellectual capital out of Russia. Putin shifted Russia’s cost of debt and equity capital higher by hundreds of basis points for several years. 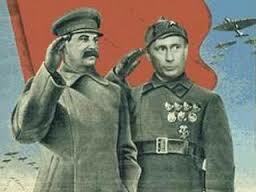 The Russian hammer and sickle drives out and slices up foreign capital which will not return any time soon. Russia is the world’s 8th largest economy (just ahead of Italy, or perhaps now just behind) and considerably larger than India, Canada, Australia, Spain, Mexico, or South Korea. 1) Policy actions are flawed causing capital flight (Russia, Argentina, Venezuela, Greece, Cyprus, Southern Europe). 2) Sub-optimal policies simply remain in place but are scrutinized more (China, Brazil, India, all of Europe, most of EM). Point #1 is blaring when it transpires, but point #2 can catch investors by surprise. During point #2, policy is held constant while the changes are attitudinal. good article CF–but practically speaking, why does it matter if a Ukranian flag or a Russian flag is flying over the Crimea?